Hi I have a 2008 tdci 1.6, and I have seen the acceleration decline. Its poor. 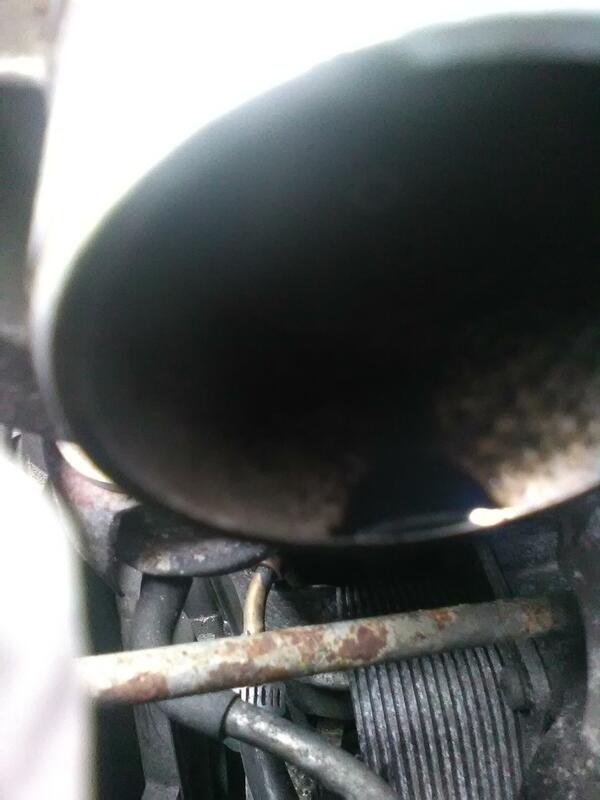 Now after some searching but a little not sure as why I am here I undone the air box pipes and the intercooler pipe and its a little dirty with drops of oil in them. Is this the norm ?? or is this pointing to my fears that I do have a turbo on the way out. Also I will try to post pictures with my phone. Looks fine, you get oil vapour passed in to the intercooler via the breather pipe, it will collect in to pools. might be worth removing the IC and flushing it out. but a drop in power could be down to countless possible reasons. Fuel filter is usually a good place to start, when was it last changed? You say down on power but explain, does it feel sluggish, does it hesitate, does it make noises. smoke, warning lights. Thanks, fuel filter, air filter was changed early last year, it was sitting up for the last 6 months so i gave it a light drive to warm up the oil for a oil change. It was the first oil change I have done with a suction pump so I think I did not get all the old oil out so going to do a proper oil change real soon. 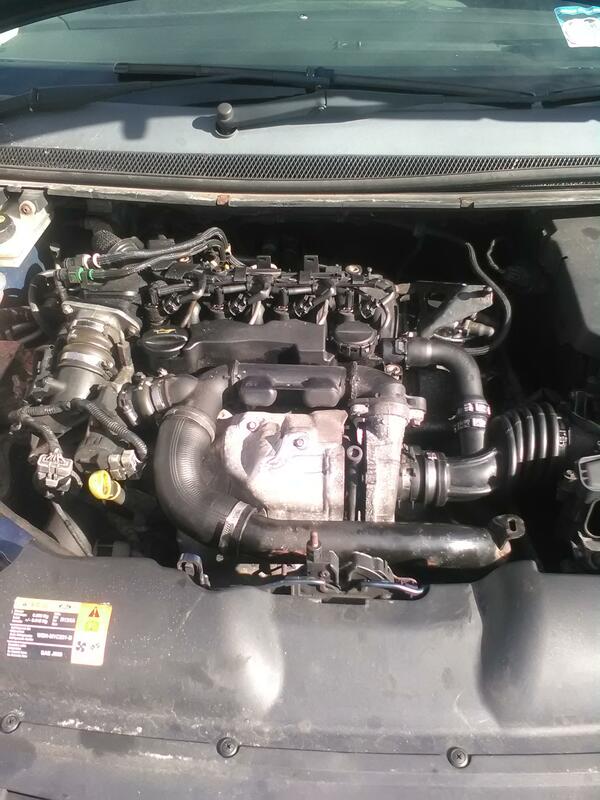 I wonder did I stretch any of the little pipes on the air box to cause a crack or tear in it as im new to DIY and dont know these cars to well. What is the IC ? ?and I will look for info to try and flush it out. 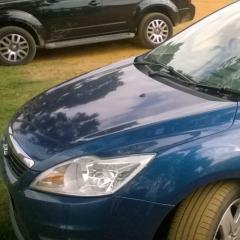 So one word of warning, the 1.6 TDCI is a very fine engine, extremely efficient but its also unforgiving. I had a 1.6 for years and religiously changed the oil every 6k and the fuel filter every 12k, thats a lot less then what ford recommends but its not worth the risk. Now, the sump on this car is designed by a complete moron. the plug hole is recessed which captures about 100ml of the worst possible oil you can imagine, the thick dirty, laced in carbon nasty crud. you really want to make sure your oil changes are getting every last bit of the old stuff out of the car. not sure a pump will do that job. the car is 3.8L, so I used to buy 5L, empty the sump then pour a litre of good oil in to help flush out some more of the old crud, that gives you 4ish litres to fill her up. the IC Is the intercooler, sits low in front of the radiator, itll be fine clean it out if you ever run out of things todo. Check your hoses for splits, theres one at the top 90d, which joins a metal pipe, check where the brackets join for rust and holes, its a common weak point. theres another large rubber hose on the end of that which joins the IC, then on the other side of the IC theres another longer hose coming up, check that as well. Making sure thats all good will cost you nothing so is an easy job to check. Get that oil change done right, plus filter. if you have a laptop get yourself one of these, it can greatly help narrow down problems! 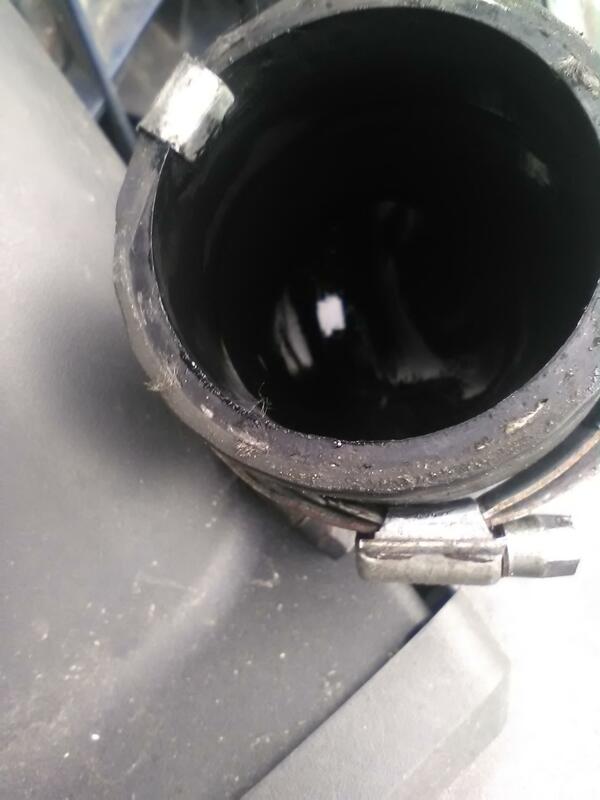 Id check that fuel filter again as well, I got a cheap one off ebay once and it was crap, died after about 4k, sometimes its worth getting from a store! 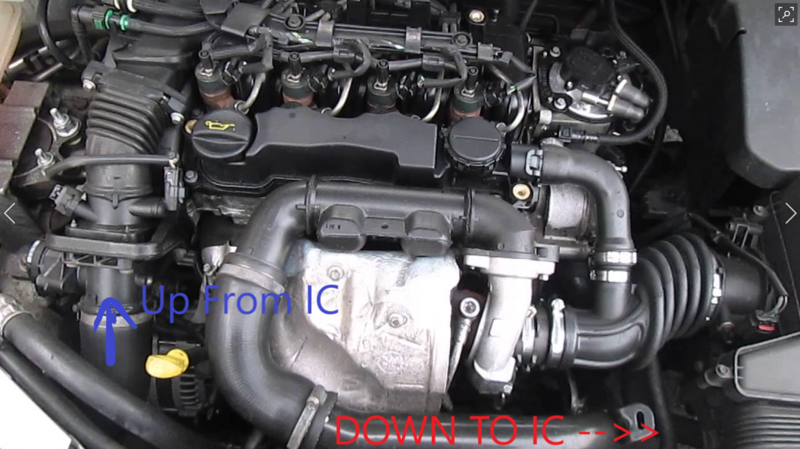 The IC is the "intercooler", where it's fitted it's usually a small rectangular radiator, usually positioned low on the front end. Essentially it looks very similar to the main radiator, just a different shape, the hot air from the engine passes through it gets cooled down, if it gets restricted/blocked you have reduced airflow internally and the hot air won't be getting cooled as much as it should be which can affect engine performance. 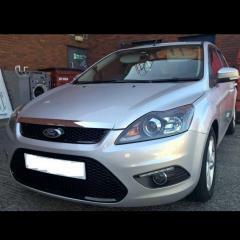 Sorry if im wrong but is this the intercooler for a ford Focus 2008 tdci 1.6 as google showed me this, and its a matter of getting that out and giving it a good clean?? Or do you guys mean to clean the pipes out that lead into the radiator, again sorry as I really am new to this but I would be delighted if I could get the car motoring well again. Also is Brake cleaner ok to use?? Nope, look in the pics below. You can clean the IC all you want, petrol works best but make sure its vented well afterwards! but unless is seriously full of crap or damaged it probably wont cause much of an issue. Tell you what looks a little wonky though. where your airbox hose attaches to the turbo, it looks like its covered with foil? There should be a rubber bit that joins to the turbo with a clamp on it, and another clamp that holds that bit to the main hose. 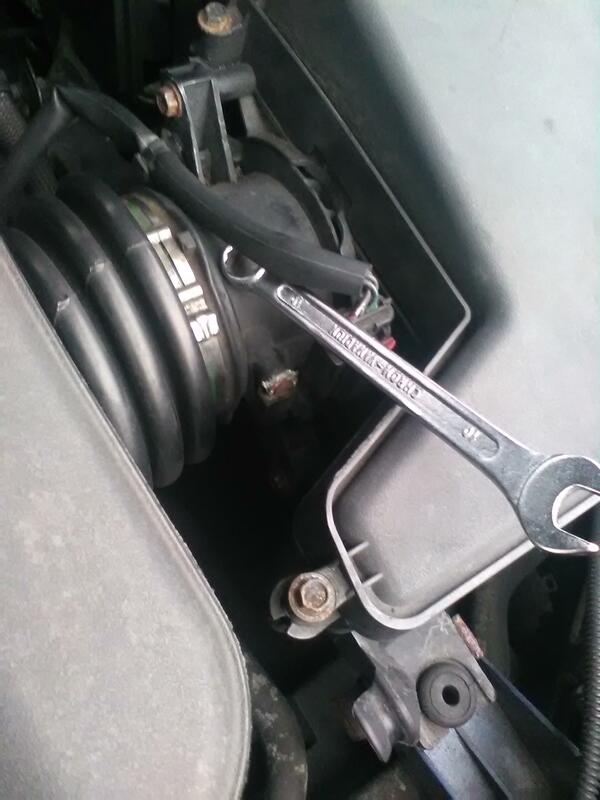 from experience ive found that aftermarket hoses can slip off the turbo. The protruding metal part that the hose collects to on the turbo isnt that big, I would be seriously wondering about that turbo ingesting any of that foil. Sounds like the DPF is partially blocked. https://www.obd-codes.com/p2002. This link has a fair amount of information about this fault code. Thanks, just one more question, It is really sluggish at the moment so would I be better of to get it towed to the repairs or could I chance driving it slowly 15 mile to it. Just worried It might give up on the way to the repair shop if I try to drive it there ??? Hard to answer that one! If you feel that it would jepordise yours and others safety then go for a tow/recovery. I drove my car to the garage when it was running horribly. However I could at least get to the speed limits (it was only 30-40mph though. Please do keep us updated as all information is very useful for others on these forums. 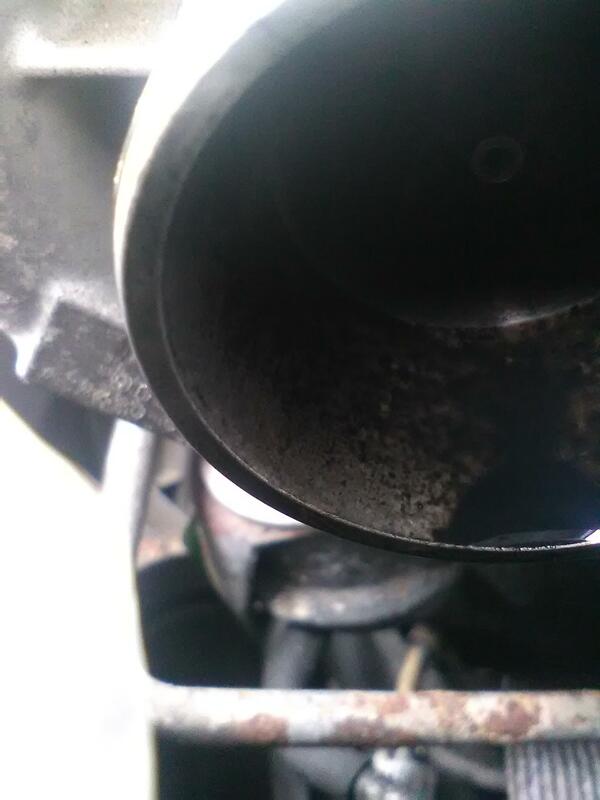 Ouch...if the DPF is clogged you have a couple of options available. One, active regeneration. - If you dont drive the car for long periods of time it can fill up with soot and stop burning it. This is bad, it will get to the point the car cant get hot enough to burn the soot at which point you have trouble. An active Regen can help clear soot ** IF ** its not too bad. it will burn the soot and turn it to ash. 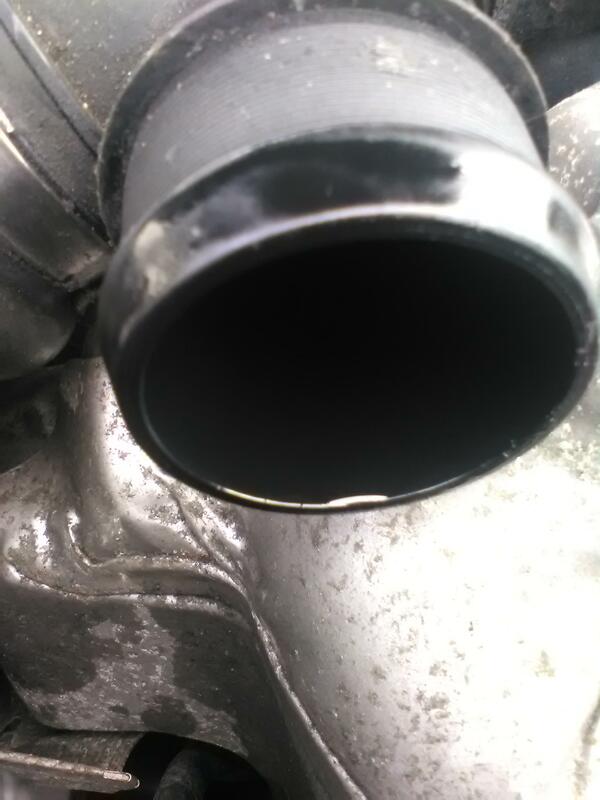 Ignore any of that pish sold in Halfords declaring it will clean the DPF, it wont, by clean I mean get it removed and given a sonic bath or a high pressure water pump job. There used to be a third option of removing the DPF permanently by gutting it and whilst its been illegal for years now, it was only very recently that they changed the MOT rules to make it that little bit harder to get away with, its no longer worth the risk. Dee_82 is spot on with that advice. 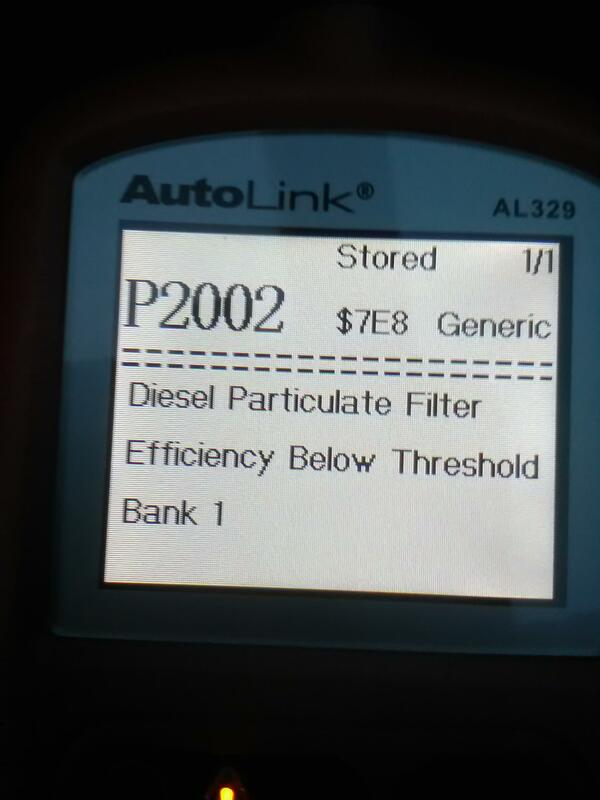 DPF fluid "can" partially help to keep a filter in condition. But yeah will never clean a filter which is well blocked. You've got the 2008 which has the eloys fluid. I had one of these engines, and DPFs. Learned a lot owning it. Can you remember when this was last topped up? This fluid allows the carbon to burn at a lower temperature and gets injected into your fuel every time you open the filler flap. This may not be helping your blockage situation if this hasn't been refilled. This was my pain a couple of months back (running out of eolys fluid). I did get an engine malfunction warning on the dash when it happened. 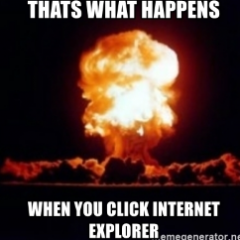 I dont know if this helps. So August 29th Carbon Cleaning Ireland came to my house to clean the pdf. 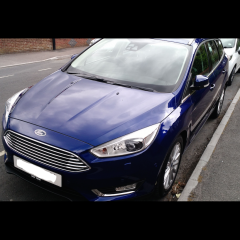 So after the clean, Car was better but something still not right. So August the 30th P2453 code so I text the guy and he said its the pressure sensor for the PDF causing it and that he hoped by resetting it would cure it as the filter was not to bad at all. I then deleted it with my code reader and all was sort of fine till last Thursday the 6th when I got P242F code restriction ash accumulation . So I contacted carbon cleaning Ireland again and he came out done a few checks and said I need a new diff pressure sensor as its dangling there and put in a new fuel filter. I am going to get the pressure sensor tomorrow and stick that in as it looks easy but the fuel filter looks a bit tricky with the pumping the fuel through and worried I might not have all the air out. So I will get a mechanic for that. if you get a Haynes manual it will detail the process for filling it up, but basically, if you look at the rear of the car, you will see a small plastic container strapped up next to it. looks a little like this picture below. Two pipes, a fill and drain pipe, I honestly cant remember which is which but you can just make out one of the connectors on the pic below, its the black rubber bit with a circular end to the right of the tank. 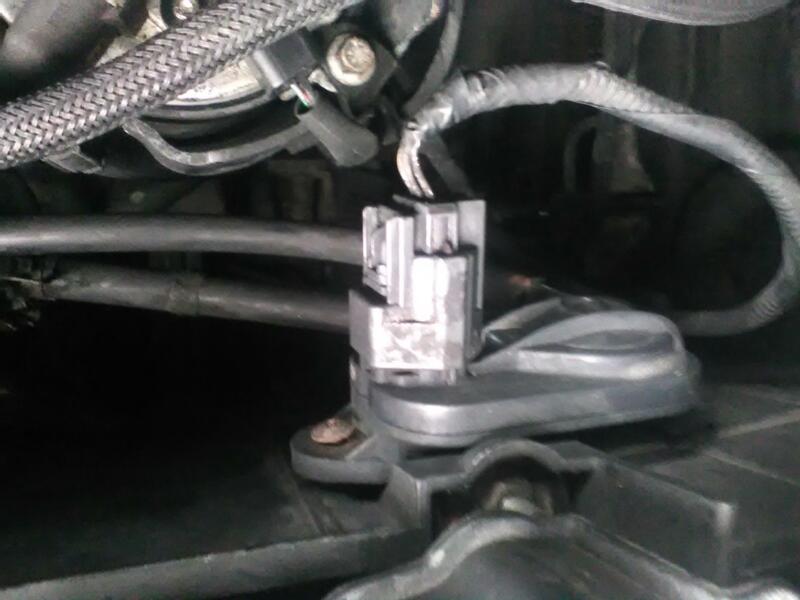 The DPF sensor is strapped to the side of the battery box (pic below), two rubber hoses connect to the DPF. one of those hoses runs right next to the oil cooler and can become brittle and snap. By all means check and replace that sensor but I doubt its at fault. More likely the hoses are broken, or and this is something to consider, they didn't clean the can.